Something of Our Own was made from conversations by the West Batesville Farmers’ Cooperative members about how they organized an agricultural marketing co-op in Mississippi. Their conversations were taped, transcribed, edited and illustrated with photos of the members at work. The information captured not only the reality of organizing the co-op but also the reality of the racism that the farmers faced constantly while they were building their co-op. The two booklets (Part I and II) included some of the nuts and bolts of the cooperative’s operations, so that farmers wanting to organize a cooperative elsewhere could get a realistic understanding of what it took to start up and manage such an endeavor. The West Batesville farmers also got pretty real about the challenges. 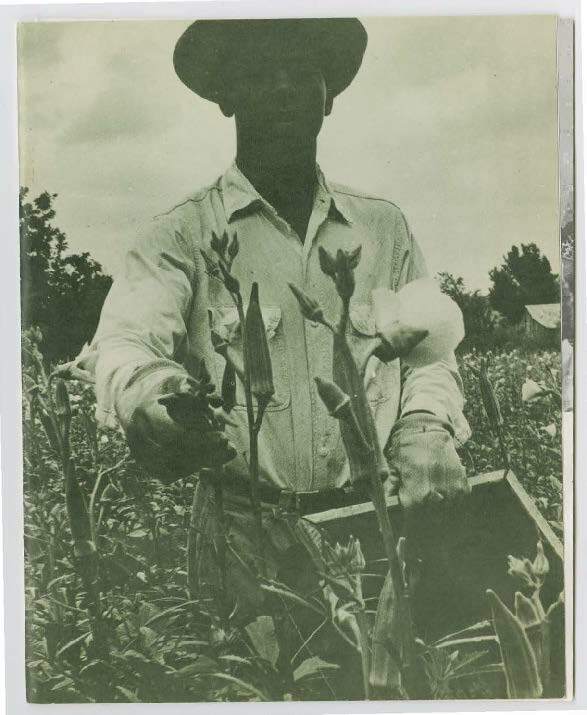 They shared, for example, how farmers who joined when the coop was paying more money for the okra than the white buyer, went back to the white buyer when the co-op had to lower its prices. What the West Batesville farmers shared in those conversations was how their experiences and mistakes informed the decisions needed to strengthen the co-op and change how they organized for the next year. Describing these experiences helped shorten the learning curve for others organizing new cooperatives. Y’all are doing it the hard way. You know that, don’t you? Doing it the hard way earns us something of our own. People’s responses to Something of Our Own was beyond anything we expected. We need about a thousand over here. We can really use them. It’s the only thing I’ve read in a long time maybe that’s because of the print (size) and the pictures. I just have to say this. It makes me so proud to see our people doing something for themselves like this co-op. But what I am most proud of is that they printed it up in these books like this so we could learn about it too. The title of your booklets (Something of Our Own) has become the slogan of our county. In 1967, Holmes County, Mississippi was the first county since Reconstruction to elect a Black man to the Mississippi state legislature. These electoral victories were due largely to the way Holmes County Freedom Democratic Party leaders organized their political system. Some of us have fought and died so the rest of us can now register and vote. So now we can vote. But vote for what? 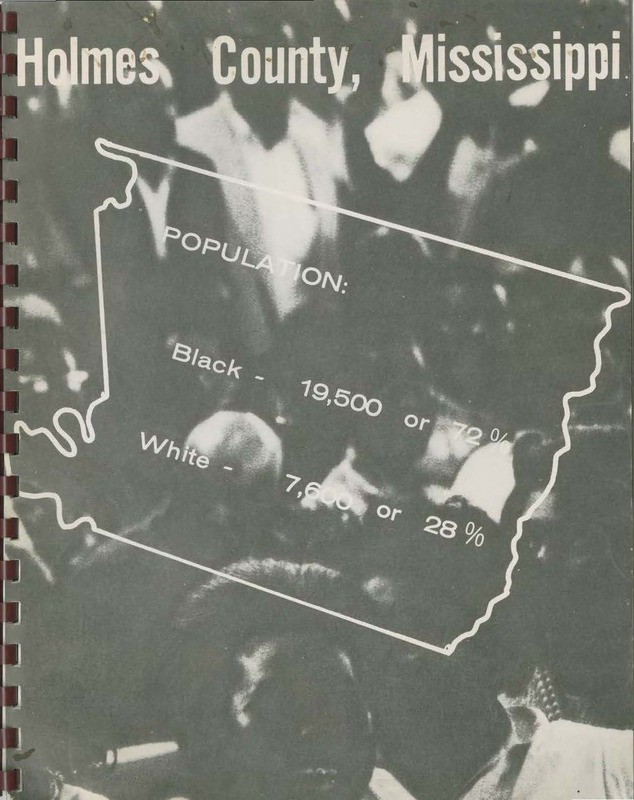 We hoped to develop a booklet that could be used in other places–Georgia, Alabama, Louisiana, and Arkansas–to help folks successfully organize to put somebody in the state legislature, like the Holmes people had done, to put Black people in state and county offices. With tape recorder in hand, I asked some MFDP leaders to tell me how they would explain to people in other counties what they did to achieve their political victories. The leadership had decided to create a political system that would reach every single Black voter in the country. Section by section, they developed a dense structure of precinct captains and block captains who could cover the miles and miles of Holmes County. Most people didn’t have a telephone, and the newspapers served primarily the white community. So the leadership developed a people-to-people communication system to connect with every potential Black voter. Another thing that was amazing was that folks in Holmes realized, just as we had learned in Selma, that people wanted to practice the ballot. They needed to learn what’s going to happen to them when they get into the voting booth. They didn’t want to be surprised or embarrassed about not knowing what to expect. There was a gentleman named Walter Bruce, who was a carpenter, and I think he was a musician too. And he was a brilliant organizer. Mr. Bruce began to run clinics to help people get familiar with the ballot. After the literacy tests were discontinued, the problem was how to stay ahead of the way white people were cheating. For example, white voting officials would change the ballot on voting day so that the ballot people had practiced would not end up being the real ballot on election day. The experiences and success of the Holmes County leadership inspired us on SNCC staff to bring these leaders together with other movement leaders from Alabama and Mississippi to share these strategies. And finally, because books were so valued, people cherished being able to take them home.